If we discuss California power costs, based on the U.S. average for household electrical usage, the ordinary household in Granite Bay spends about $135 per month on their electricity bill. If you have a swimming pool, lots of electronics or a large household, your bill is probably bigger. Photovoltaic electricity takes care of all of that! Examining a yearly average, some customers are even able to slash their total bill to zero. That’s the monetary benefit of getting your electricity from sunshine. In addition to saving you money from day one, purchasing solar is the best thing to do for the future! Since solar power gives electricity without burning fossil fuels, it’s most certainly the way to the future. So it’s the best thing to do for your wallet, family, future and planet! 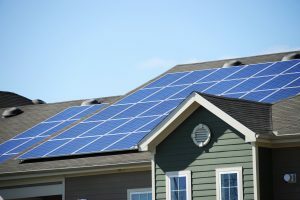 Can solar still get less expensive? With the help of a Solaron sales representative, yes it can! Both municipalities and governments offer different incentive programs to effectively slash the cost of solar installations. These bonuses depend on your exact address, but can considerably slash the cost of buying your solar panels. So call Solaron today to get more information about how you can save money and the future by means of solar power!